Scientists have known for a while that as motor neurons wither in people with ALS, nearby microglia get riled up. Now they are finding that their monocyte cousins in the blood do the same. In the April 24 JAMA Neurology, researchers led by Stanley Appel at Houston Methodist Neurological Institute in Texas reported that blood monocytes ramp up expression of a bevy of inflammatory genes in people with ALS, and this occurs most dramatically in those with a rapidly progressing form of the disease. What turns these outsiders on, and whether their activation somehow hastens harmful neuroinflammation in the CNS, are key unanswered questions. “The damaged motor neurons are sending signals to immune cells, and not just to those in the CNS,” Appel posited to Alzforum. He speculated that pathology-laden motor neurons may activate cells in the periphery via their protruding axons at neuromuscular junctions, and that T cells play a role in the cascade. The degeneration of motor neurons causes the devastating symptoms of ALS, and there is no doubt that immune cells within the central nervous system respond to the neuropathology with gusto. Imaging of living patients, as well as postmortem analyses, have revealed an inflamed mess surrounding the detritus of neurodegeneration (see Turner et al., 2004; Corcia et al., 2012; and Zhao et al., 2013, for review). Animal studies indicate that while the immune responders mean well at first, they ultimately transform into destructors (Alexianu et al., 2001; Yamanaka et al., 2008). Recent data suggest that this inflammatory response extends outside of the CNS: Appel’s lab reported dysfunction of inflammation-dousing regulatory T cells in people with ALS, and a study led by Pamela Shaw and Winston Hide at the University of Sheffield in England found expression of inflammatory genes in circulating cells predicted the pace of disease progression (see Beers et al., 2017; Mar 2017 news). For the current study, first author Weihua Zhao at Methodist Neurological Institute and colleagues asked whether ALS influences gene expression in circulating monocytes. Sequencing RNA from monocytes taken from the blood of 23 ALS patients and 10 healthy controls, they found more than 200 genes differentially expressed between the groups. Nine of the top 10 most upregulated genes in people with ALS were known inflammatory mediators. To validate the finding, the researchers measured gene expression of several of the inflammatory gene hits in monocytes from a separate group of 43 ALS patients, confirming elevated expression of IL-1β, IL-8, NLRP3, and several chemokines and their receptors. The researchers next divvied up the patients into those with slowly or rapidly progressing disease, based on whether their performance slipped by less or more than 1.5 points per month on the Appel ALS test, a modified version of the ALS functional rating scale. Compared with monocytes from healthy controls, blood monocytes from people who progressed rapidly had more differentially expressed genes than those who progressed slowly. These genes were involved in cell migration and chemotaxis, monocyte activation, and inflammatory responses. The findings suggested that while monocytes change their tune in the face of slowly progressing disease, they reach a fever pitch as progression speeds up. Despite the activation of these blood cells, the researchers were unable to reliably detect elevated levels of inflammatory cytokines in the blood of ALS patients. Of the several they tested, only IL-8 was significantly elevated, and only in people with rapidly progressing disease. Appel speculated that the activated monocytes may pump out cytokines only in the vicinity of inflamed tissue, for example near the neuromuscular junctions where the axon terminals of sickly motor neurons emerge. Furthermore, some cytokines, such as IL-1β and IL-18, require cleavage by caspases to become functional, and this may occur most prominently at the site of injury, he added. At least one hallmark of systemic inflammation—C-reactive protein (CRP)—has been detected in the blood of ALS patients. A recently published study led by Christian Lunetta at the Neuromuscular Omnicenter in Milan, on which Appel collaborated, reported levels of CRP correlated with the severity of functional impairment, and ultimately with survival, in nearly 400 ALS patients. What’s more, a post hoc analysis of a failed Phase 2 trial of the immune regulator NP001 revealed that the treatment slowed disease progression in patients who started off with higher CRP (see April 2017 news; Lunetta et al., 2017). While the findings point to the existence of a systemic inflammatory response to ALS, how or even if that response contributes to neuroinflammtion in the CNS remains unclear. Do activated monocytes infiltrate the CNS? Parabiosis experiments suggest otherwise, and Appel thinks this is unlikely early in disease. Instead, he points at T cells. They travel back and forth across the blood-brain barrier, and both respond to and activate monocytes and microglia, and hence may serve as a go-between between the two compartments. Johnathan Cooper-Knock of the University of Sheffield in England, who led a recent study that tied inflammation in both microglia and peripheral cells to ALS progression, commented that Appel’s findings are timely. Cooper-Knock also found that elevated IL-8 predicted the rate of decline. While it is unclear how peripheral monocytes influence neurodegeneration, Cooper-Knock told Alzforum that their proinflammatory profile seems to mirror that of their destructive counterparts in the CNS. Zhao W, Beers DR, Hooten KG, Sieglaff DH, Zhang A, Kalyana-Sundaram S, Traini CM, Halsey WS, Hughes AM, Sathe GM, Livi GP, Fan GH, Appel SH. 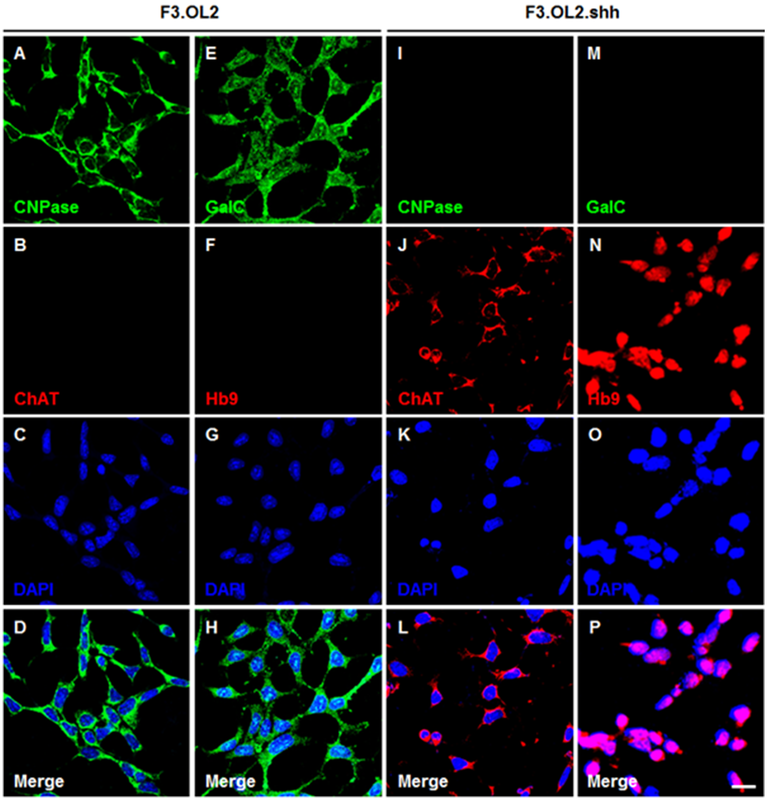 Characterization of Gene Expression Phenotype in Amyotrophic Lateral Sclerosis Monocytes. JAMA Neurol. 2017 Apr 24; PubMed. Turner MR, Cagnin A, Turkheimer FE, Miller CC, Shaw CE, Brooks DJ, Leigh PN, Banati RB. Evidence of widespread cerebral microglial activation in amyotrophic lateral sclerosis: an [11C](R)-PK11195 positron emission tomography study. Neurobiol Dis. 2004 Apr;15(3):601-9. PubMed. Corcia P, Tauber C, Vercoullie J, Arlicot N, Prunier C, Praline J, Nicolas G, Venel Y, Hommet C, Baulieu JL, Cottier JP, Roussel C, Kassiou M, Guilloteau D, Ribeiro MJ. Molecular imaging of microglial activation in amyotrophic lateral sclerosis. PLoS One. 2012;7(12):e52941. PubMed. Zhao W, Beers DR, Appel SH. Immune-mediated mechanisms in the pathoprogression of amyotrophic lateral sclerosis. J Neuroimmune Pharmacol. 2013 Sep;8(4):888-99. Epub 2013 Jul 25 PubMed. Alexianu ME, Kozovska M, Appel SH. Immune reactivity in a mouse model of familial ALS correlates with disease progression. Neurology. 2001 Oct 9;57(7):1282-9. PubMed. Yamanaka K, Chun SJ, Boillee S, Fujimori-Tonou N, Yamashita H, Gutmann DH, Takahashi R, Misawa H, Cleveland DW.Astrocytes as determinants of disease progression in inherited amyotrophic lateral sclerosis. Nat Neurosci. 2008 Mar;11(3):251-3. PubMed. Lunetta C, Lizio A, Maestri E, Sansone VA, Mora G, Miller RG, Appel SH, Chiò A. Serum C-Reactive Protein as a Prognostic Biomarker in Amyotrophic Lateral Sclerosis. JAMA Neurol. 2017 Apr 3; PubMed.